I had the amazing pleasure to meet my favorite cookbook author, Diane Morgan at a dinner featuring her recipes at Lou's Food Bar in Denver. I enjoyed a five course meal of recipes from her newest cookbook, Roots and was able to chat with Diane about techniques and preparation. This was one of the hit dishes of the night. 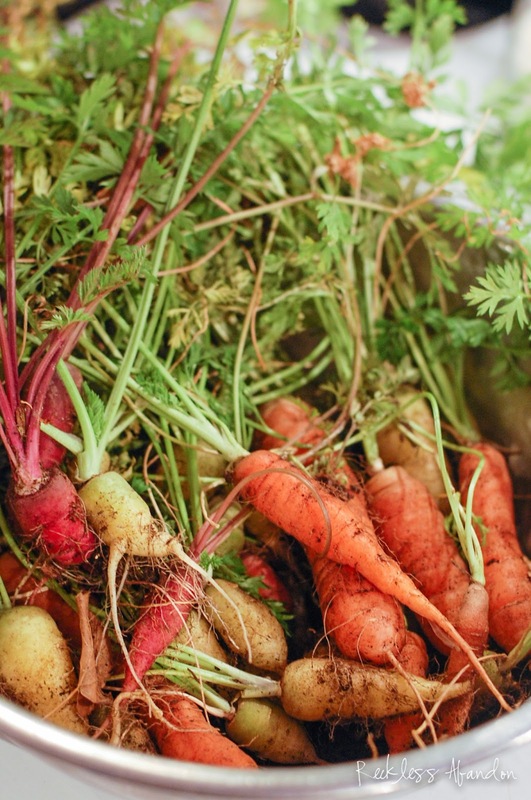 It's raw, healthy and the flavors are perfect. 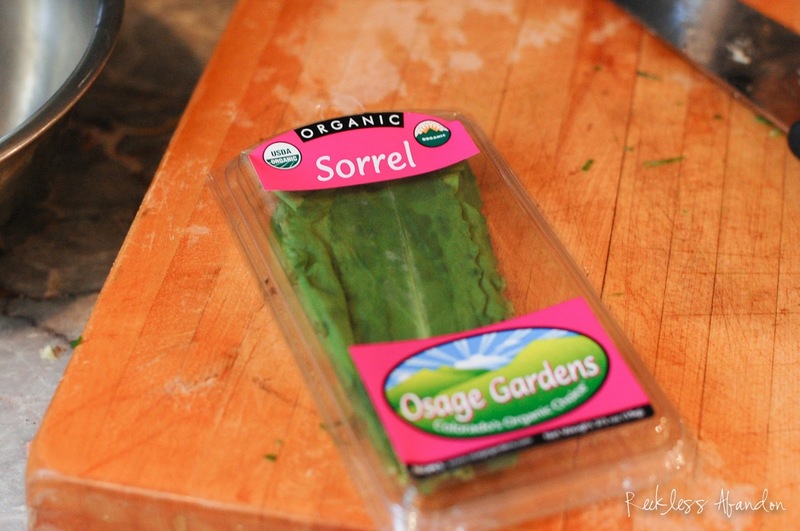 It is a great alternative to the typical green salad that is passed around the table. 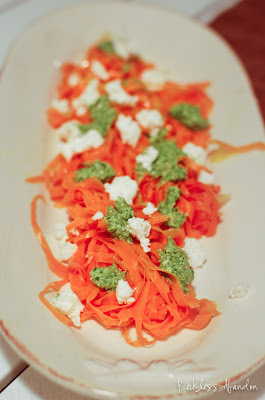 Serve this colorful salad family style for your guests to enjoy. Also, if you've browsed my 'dips' you will see most of them come from Diane's Skinny Dips cookbook! First, rinse and peel your carrots. 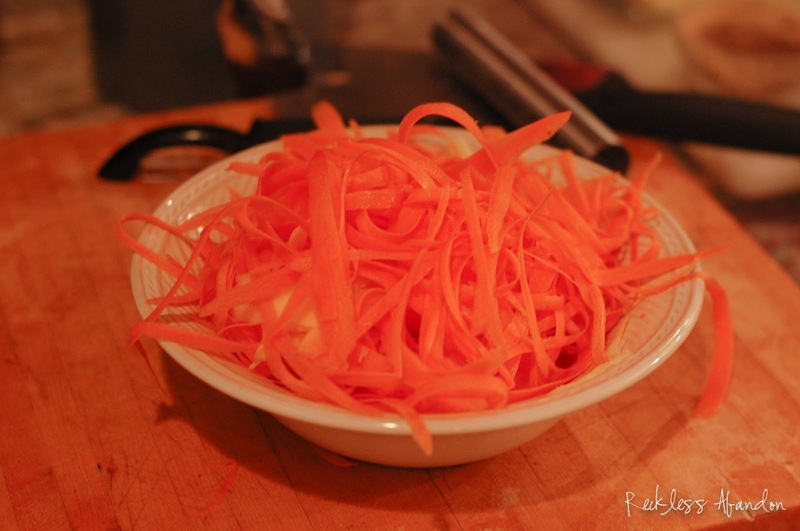 Using your peeler continue to peel the carrot by constantly rotating it until there isn't much of a carrot left. Keep the ribbons and set aside. 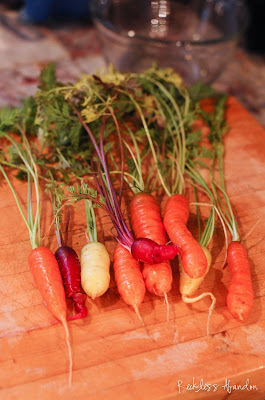 These carnival-colored carrots were pulled from my garden! 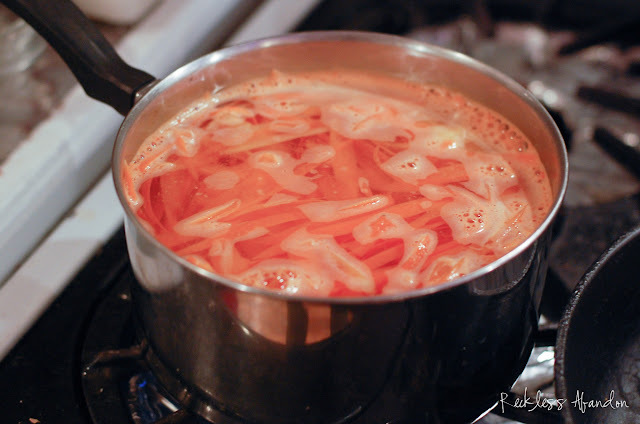 Bring a pot of water to a boil with 2 tsp salt and 2 cloves of garlic in the water. Blanch the carrot ribbons — this means put the ribbons in the boiling water for 2 minutes, strain and place them in a bowl of ice water to 'shock' to stop the cooking process. 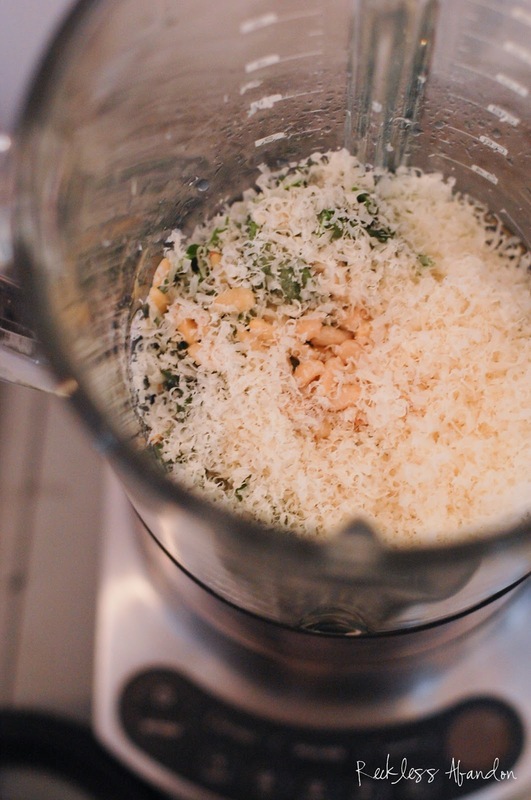 While the carrots are blanching, you can whisk together the dressing. 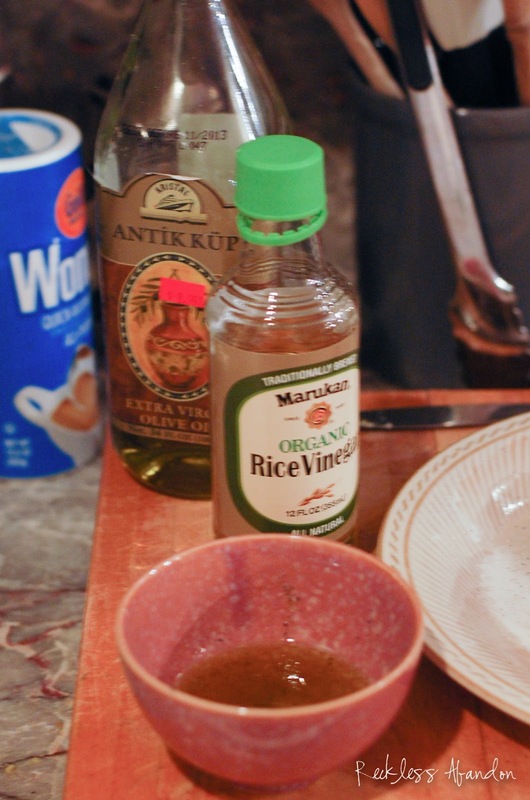 In a small bowl combine 4 Tbsp olive oil, 1 Tbsp unseasoned rice vinegar, 3/4 tsp salt and 1/2 tsp freshly cracked pepper. 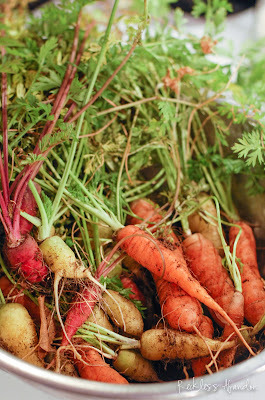 Pat the carrots dry with paper towels after they have been shocked in the ice water. Toss the carrots in the dressing. Now, we will make the sorrel pesto. 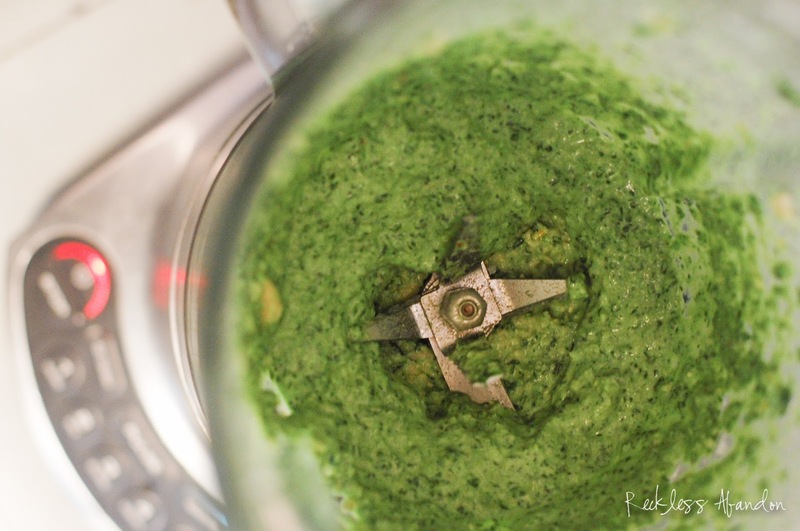 Traditional pesto is made with fresh basil leaves, but this pesto is made with another herb, sorrel, which lends to a fresh, lemony flavor. In a food processor blend together 2 1/2 cups lightly packed and roughly chopped sorrel (I used 2 packages from Whole Foods), 2 large garlic cloves, chopped, 1/2 cup grated parmesan cheese, 1/4 cup pine nuts, 1 1/2 tsp lemon juice, 1/2 tsp salt and 2/3 olive oil. 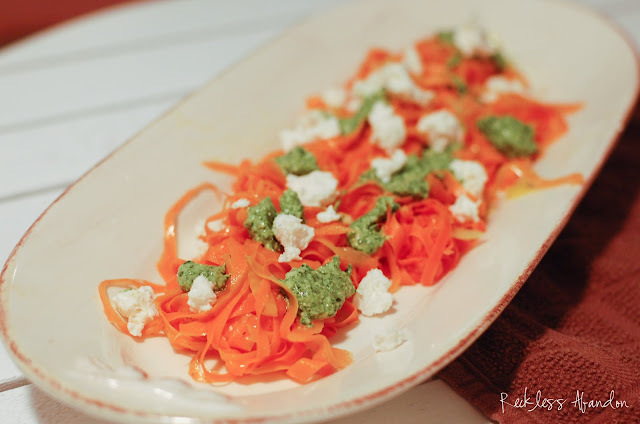 Place the dressed carrot ribbons on a serving plate and drizzle with the pesto (or place large dollops if it's thick) and then crumble the goat cheese on top. 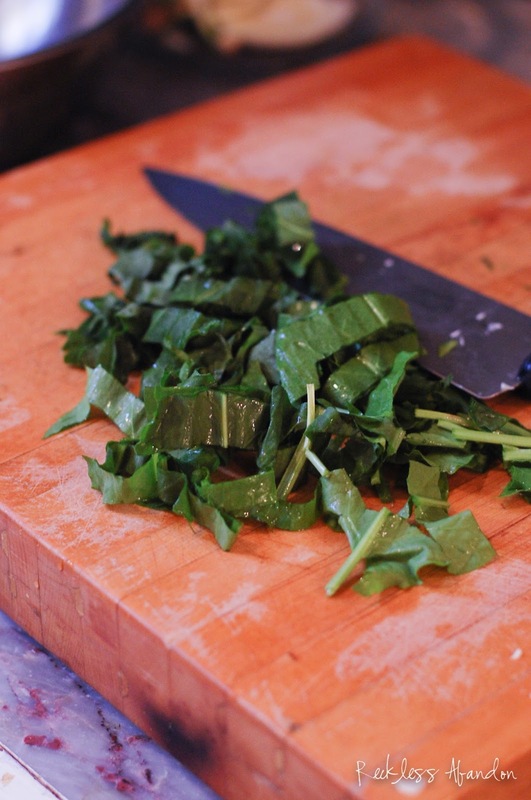 Serve for a healthy, raw vegetable side dish or salad. It is perfect time to make a few plans for the future and it's time to be happy. I have read this put up and if I may I desire to suggest you few attention-grabbing things or suggestions. Perhaps you could write next articles relating to this article. I desire to learn even more things about it! You really make it seem so easy with your presentation however I to find this matter to be really something that I feel I would never understand. would never understand. It kind of feels too complex and very large for me.